Unlike the boy who lived, Percy Jackson Halloween costumes are a little tougher to pull off. Camp Half-Blood doesn't really have a uniform and with the exception of their short swords and bucklers, even their armor is pretty basic. So you decided you wanted to be Percy Jackson for Halloween and you're struggling as to what Halloween costume would be recognizable as the demi-god son of Poseidon? Well, without the right props, you're going to end up looking like an ordinary teenager, which is what Percy Jackson was when he wasn't fighting monsters, gods and other demi-gods. If you want to dress up like Percy Jackson in his Camp Half-Blood armor, just head down to the local costume shop and pick up a Grecian style breastplate, vambraces for the arms, a short sword and a buckler (the small round shield). You'll want to wear them over jeans and a t-shirt which is what Percy favored most of the time. If you wanted to add some flash, you could take a dark pair of Converse "Chucks" and add some white feathered wings to them to imitate the pair of Hermes' shoes that Luke gave to Percy in the first novel. If you want to go for average, day-to-day look, Percy still favored jeans, but also a t-shirt with a grey hoodie or blue jean jacket with a grey hoodie on the inside. He wore a pair of sneakers and often had his pen in his pocket. The pen is the camouflaged Riptide, a sword that was gifted to Percy by Chiron (Pierce Brosnan) in his guise as Mr. Brunner. If you want to create your own Riptide to add to your costume, it is a simple enough project that children can enjoy. This is also a safer way to make a "sword toy" that kids can't hurt each other with. Get two large paint sticks. Black paint. Gold paint. You can purchase them at Wal-Mart, Home Depot or anywhere else they typically sell house paint. Attach the two five inch pieces and attach them to the larger paint stick just above the handle with wood glue. Once the glue has dried, use black paint on the hilt and allow to dry. Then use the gold paint on the "blade" and allow to dry. You have now created a "Riptide" that can be worn or used with your Percy Jackson costume. 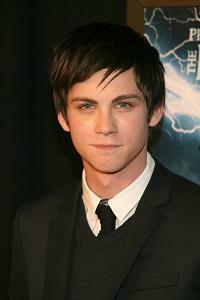 The popularity of the Percy Jackson series can be attributed to the fascination with Greek myths. Many storytellers took advantage of the resurgence of interest in Greek heroes, goddesses and other characters in the 21st century. Greek mythos entering the pop culture mythos included remakes of Clash of the Titans and numerous other "myth" tales for children such as the Pandora books by Carolyn Hennessy and Oh My Gods by Tera Lynn Childs. Percy Jackson Halloween costumes may require some knowledge of the character who doesn't have a uniform for his school or a notable scar, but he does have a heroic tale that appeals to boys and girls alike.